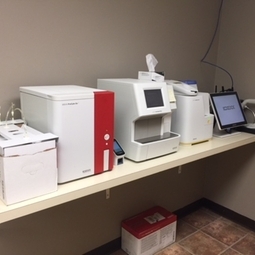 We are able to run the majority of our lab work right in the clinic. This helps provide the doctors with the information they need faster so they can more accurately diagnose and treat your pet. Chemistry Profiles - kidney values, liver values, electrolytes, etc.